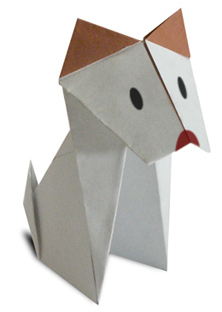 Dog Origami: Dogs are known as man's best friend. numerous people love dogs. even me I really love dogs. In most cases people would like to have dogs because they want companion, playmate, guard etc. In other country dogs are used as a pack animal, in some dogs are used for entertainment, exhibition, rescue, drug detection and many more. I think dogs are the most useful of all among animals. 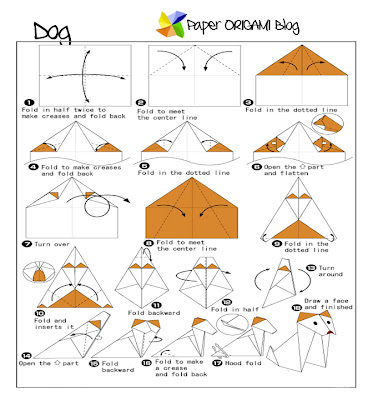 If you love dogs you will probably love dog Origami. 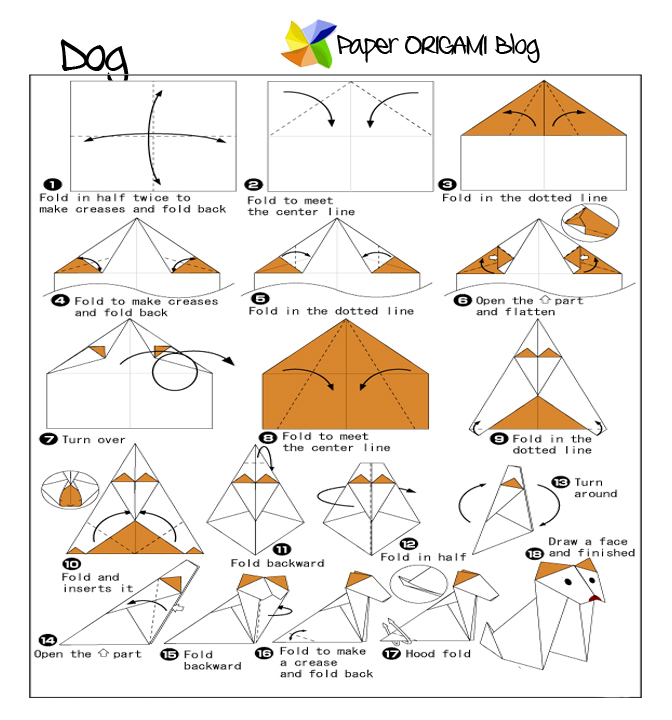 Its folding instruction is simple and easy to follow. try this simple diagram below for reference.